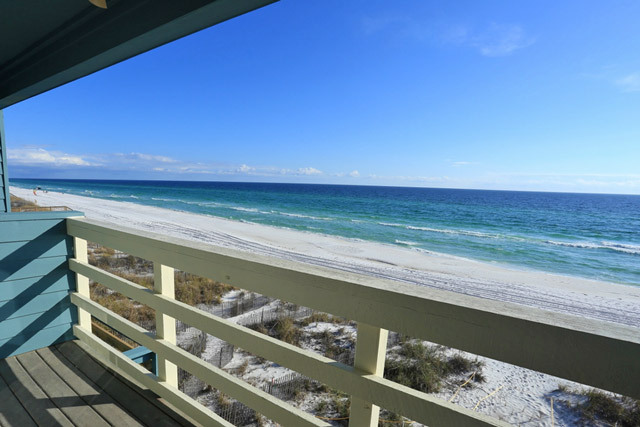 Amazing Gulf Views from this gulf front town-home in The Beaches of South Walton. 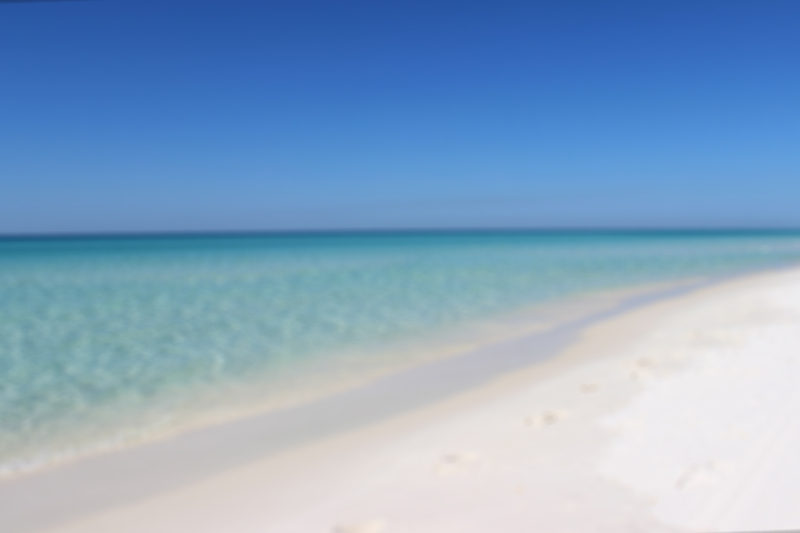 Just walk out and put your feet on the sand! 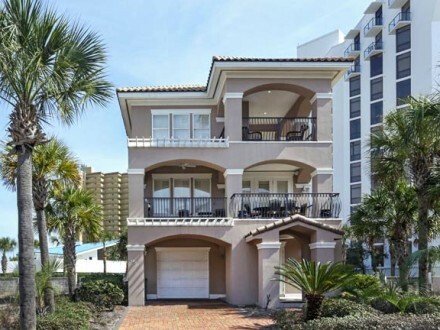 Come vacation with us in this highly sought after three story Seawinds Townhouse on your own private piece of the #1 rated beach in America. Sit out on your deck to drink your coffee, watch the dolphins go by, or watch the sun rise. 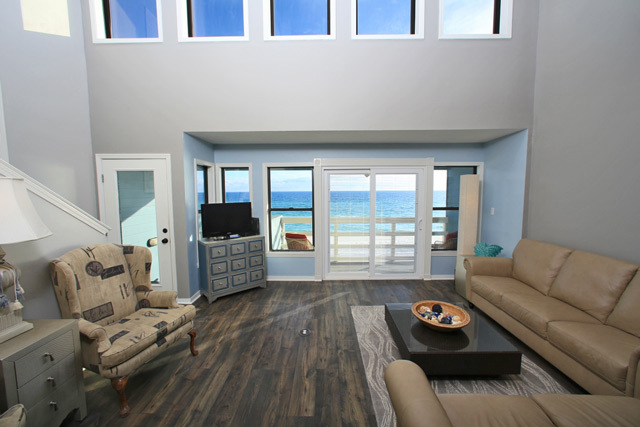 Or at the end of a relaxing day at the beach, sit with a glass of wine or drink of your choice and watch the blazing sun set on our Emerald Coast. 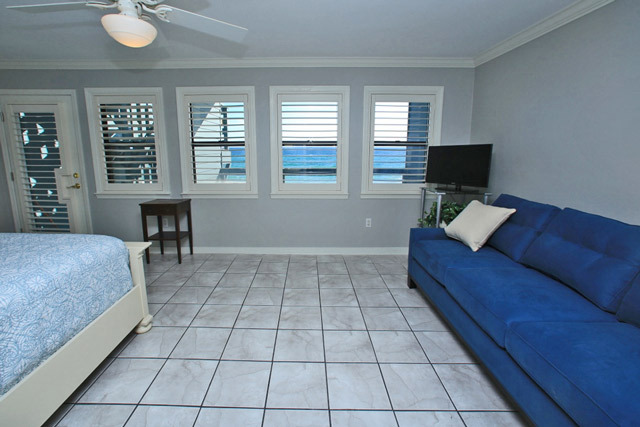 The open floor plan of this beach townhouse will give your group or family plenty of space to sprawl. 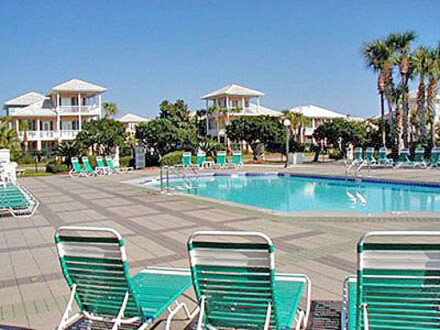 You can cook and serve your family or group meals while looking at the Gulf of Mexico. 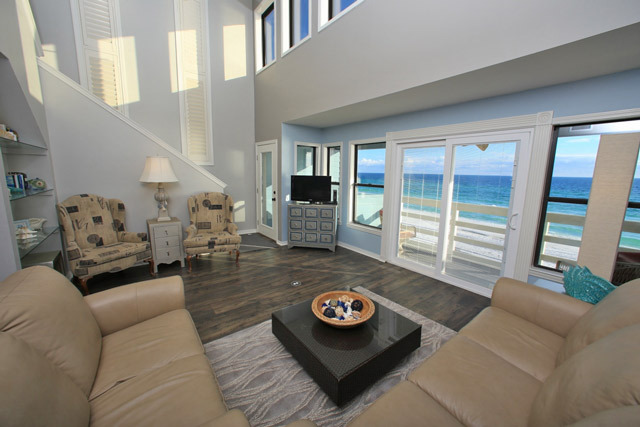 This Destin Florida vacation rentals will give you the privacy and the space you need to relax for an unforgettable beach vacation. 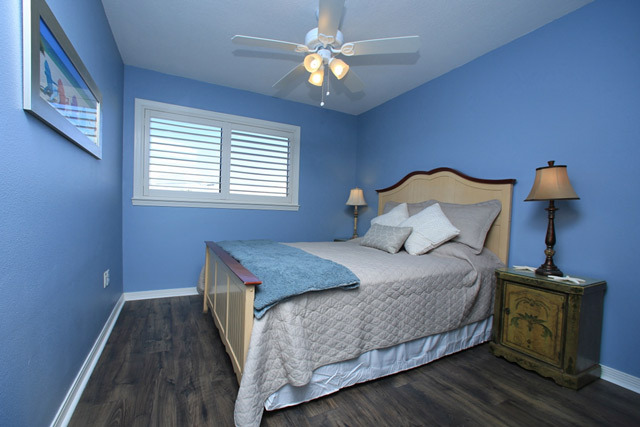 Sleep in the master suite in your king bed with the roar of the surf as your white noise to help provide you with a nights sleep like never before. Or, take a cooling shower in the master bathroom that offers double vanities with cultured marble counter tops. Once you have mellowed out with a refreshing bath or shower, step out on your private balcony and relax while sipping your favorite beverage looking at the moon beamed water and star glazed sky. 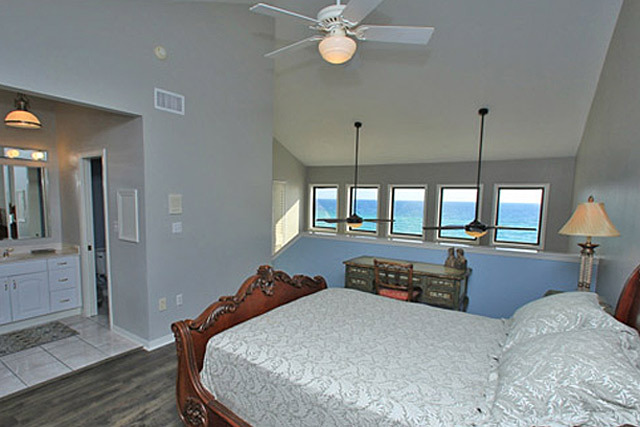 The finished beach level features an additional queen bedroom for your group or family. 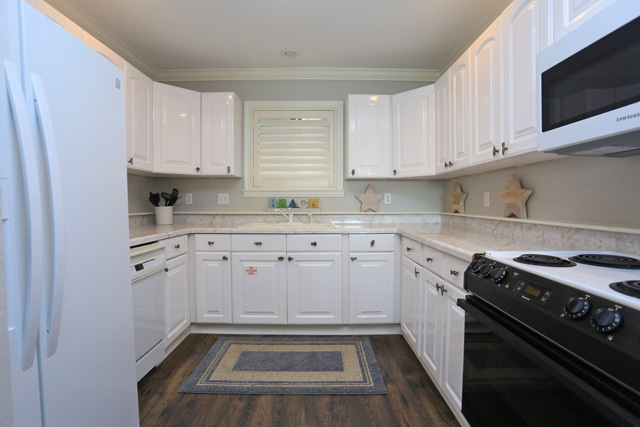 This level exits directly onto the sugar white sandy beaches of The Gulf of Mexico from a spacious deck with wet bar, outdoor shower with half doors, and grill. 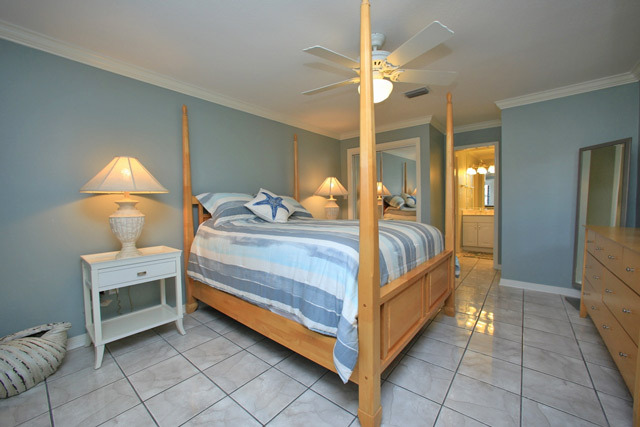 You will enjoy the beach atmosphere and convenience that has been created by the decor and layout in this Destin Florida townhouse built in 1982. 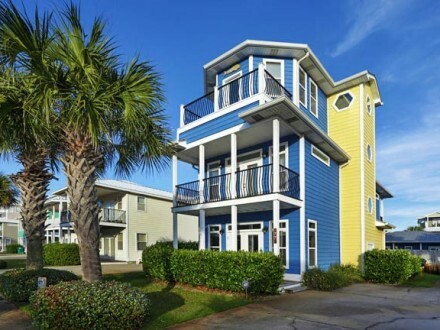 Some of our most popular beach restaurants such as The Whale’s Tail are within walking distance from these rentals in Destin Florida. 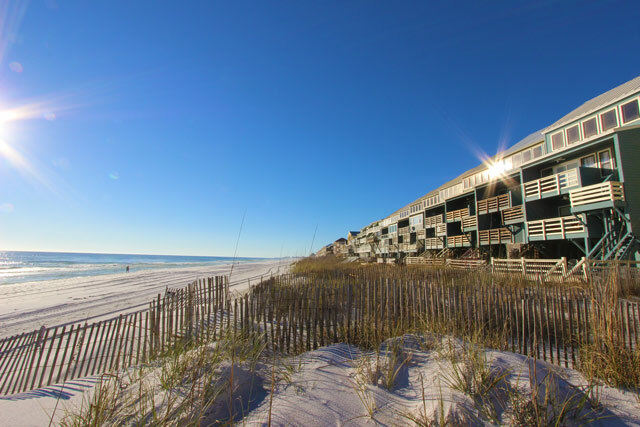 You can watch the sunrise in paradise or catch an early breakfast on the beaches of the Emerald Coast and possibly catch a glimpse of the dolphins at play by taking a brisk walk to Pompano Joe’s. 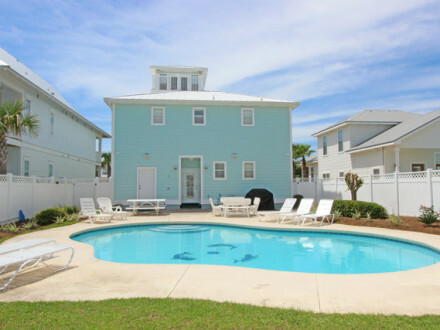 Come stay with us at Seawinds Town Homes, and find the perfect way to savor an incredible beach vacation and make memories to last a life time!